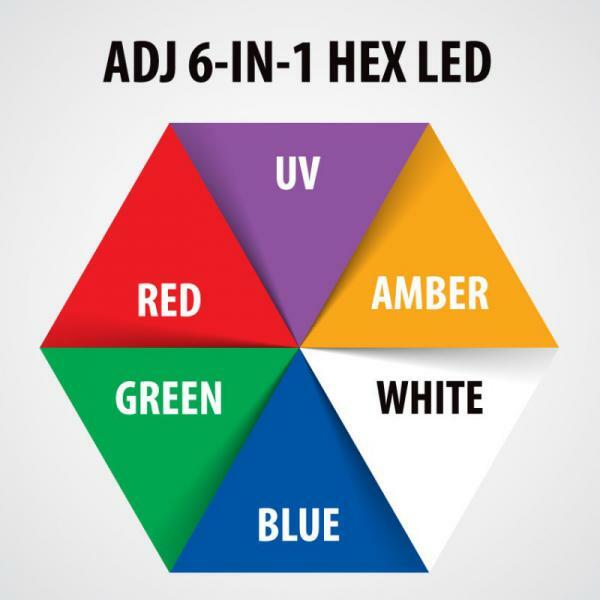 The ADJ 5P Hex is a versatile LED Par fixture with 5 x 10-Watt , 6-IN-1 HEX LEDs. 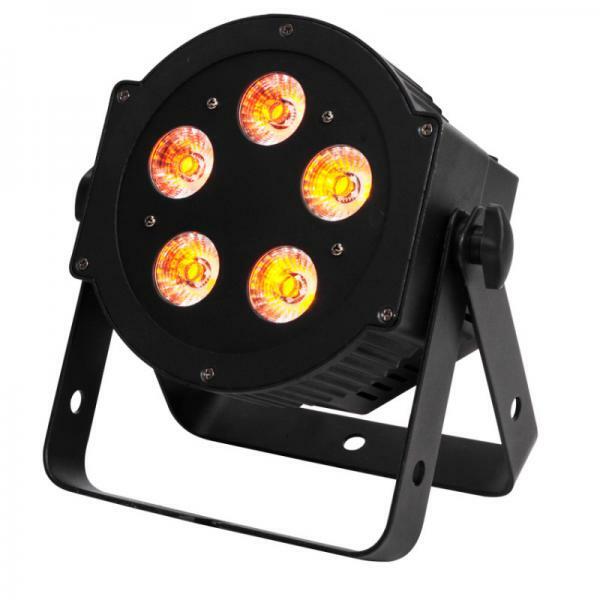 Not only is this LED Par great for lighting stages, but with its patent pending, intelligently designed, power and DMX connectors, it?s great for uplighting a venue. 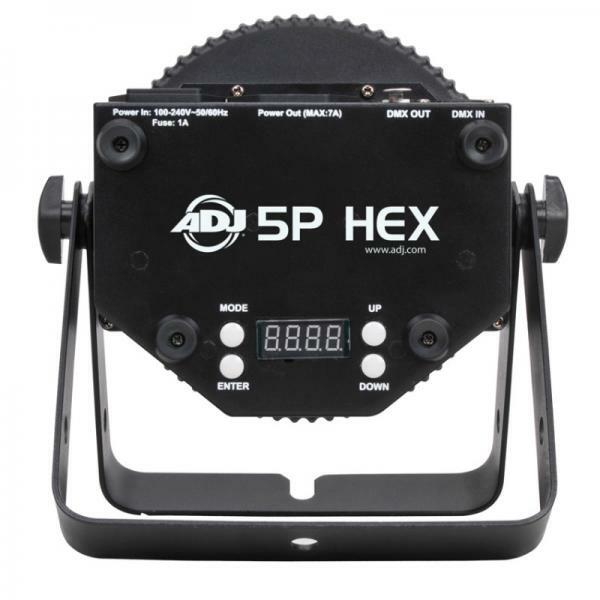 The 5P HEX is compatible with the Dotz Par RF, easy-to-use, wireless RF remote (sold separately). 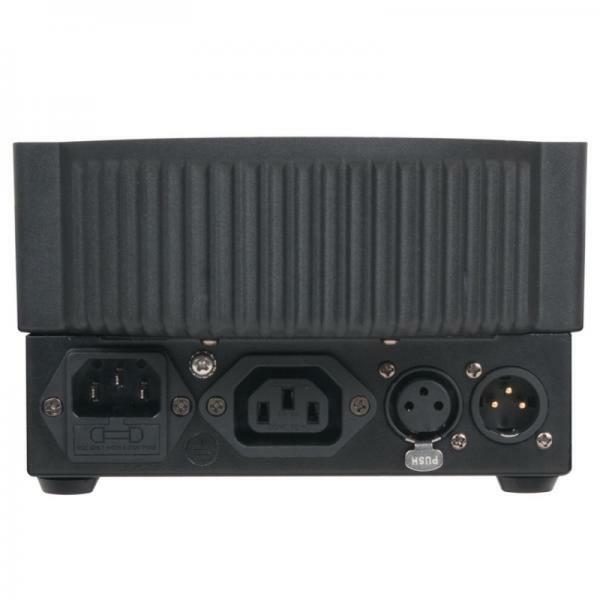 The ADJ 5P Hex is a versatile LED Par fixture with 5 x 10-Watt , 6-IN-1 HEX LEDs. 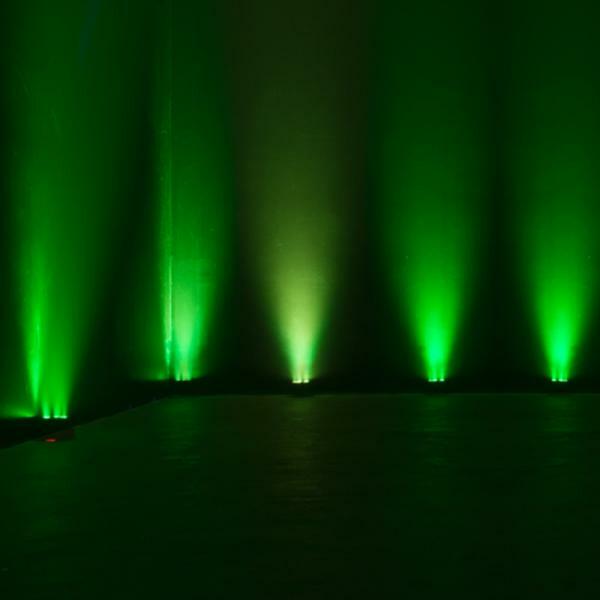 With a 30-degree beam angle, users may produce wide washes with smooth color mixing from 63 built-in color macros utilizing red, green, blue, amber, white and UV LEDs. 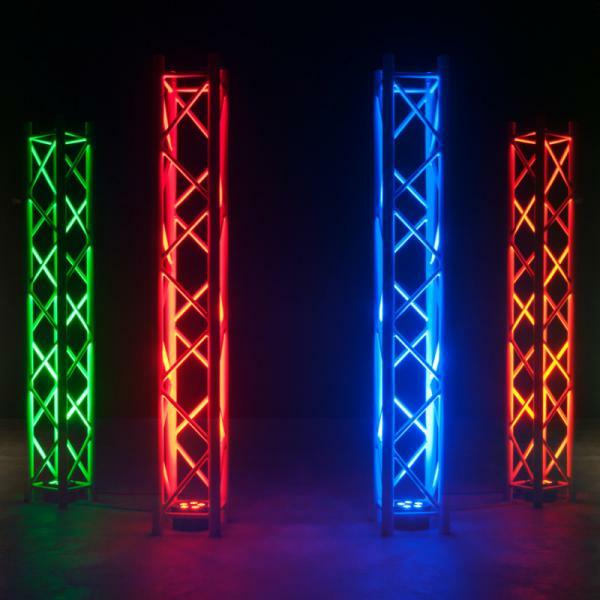 Not only is this LED Par great for lighting stages, but with its patent pending, intelligently designed, power and DMX connectors, it?s great for uplighting a venue.